Iran and the US grabbed headlines on Saturday with confirmation of the first scheduled high-level bilateral talks between the two countries since the 1979 Islamic Revolution. The two sides, led by Deputy Secretary of State William Burns and Deputy Foreign Minister Abbas Araqchi, will meet in Geneva on Monday-Tuesday to discuss the talks pursuing a comprehensive nuclear agreement. The announcement is only part of Iran’s latest diplomatic offensive. Having launched his “engagement” campaign with Gulf States, President Rouhani will seek to woo Turkey on Monday with a trip to Ankara. Tehran has vital economic ties with Ankara which have been damaged by US-led sanctions, even as Iran declares it wants to raise the level of trade to $30 billion by 2015. On the political front, the immediate issue is Syria, where Turkey backs the opposition and the Islamic Republic’s military and economic assistance props up the Assad regime. Rouhani’s trip means that he will not be able to lead Iran’s offensive in Egypt, where Tehran is hoping to recover ground after the fall of the government led by the Muslim Brotherhood — which the Islamic Republic hoped would become a key regional ally — to a military coup in July 2013. Instead, Deputy Foreign Minister Hossein Amir Abdollahian will head the Iranian delegation to the inauguration of President Abdel Fattah Al-Sisi, the general who led the coup. Having condemned the military’s overthrow of President Mohamed Morsi, Iran has been far more conciliatory in recent weeks, hailing Sisi’s election last month as a democratic process. 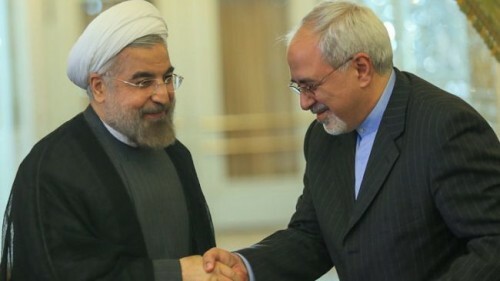 Iran Prosecutor General Gholam Hossein Mohseni Ejei is the latest official to challenge Hassan Rouhani over the President’s attempt to ease cultural and social restrictions. Rouhani has called for a relaxation of punishments — including lashings — for supposed crimes such as the failure by women to wear correct hijab (head covering) and access to suspect sites on the Internet and social media. Rouhani said the next day that his critics “know neither what religion is nor the afterlife, but they’re always worried”.